The SmokTech ZMAX Advanced Personal Vaporizer is sleek, powerful, reliable, full featured and very well built, just like its cousin the VMAX. With this version, Voltage or Wattage is variable 3.0-6.0 volts or 3.0-15.0 watts respectively, using a single 18350, 18500, 18650 or two 18350 IMR batteries, (all available separately). Check atomizer resistance and battery voltage too! The telescoping design allows for different length batteries. The newer Rev. 2 Zmax has one extra menu item (8) which enables you to switch between RMS and mean value voltage monitoring. The RMS mode is more accurate because it samples the output Voltage repeatedly while it is powering an atomizer or cartomizer. It is with these measurements that it is able to adjust for heat related Voltage drift. With its 4 Amp output, it is sure to rock whatever device you want to run on it. This version has a blue button and blue LED display that can be turned off. ZMax has the native 510/eGo connection so it will run 510/eGo-threaded Clearomizers, without adapters. Run 808 devices as well with a 510-808 adapter. 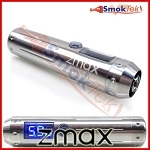 The Zmax will work with flat or button top IMR's and protected Li-Ion batteries. 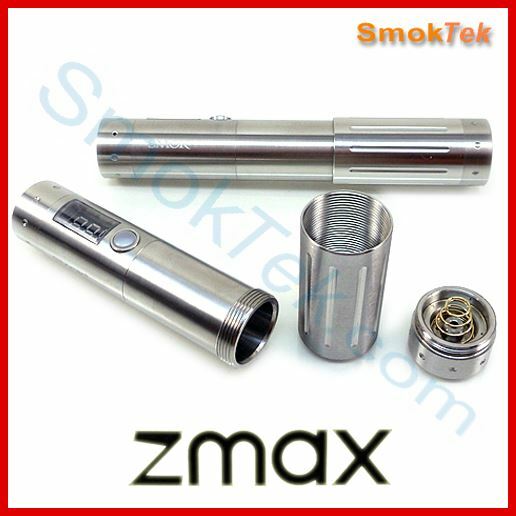 Please note the Zmax will NOT work with the Efest Purple IMR18650 3100mAh 20A Battery (flat OR button top) - it is too wide for the Zmax. Never use non-rechargeable batteries in this or any other e-cig device! Only use the recommended batteries for this unit, it's for your safety. Choose the Make It a Kit option to get batteries and a charger at a discounted price. 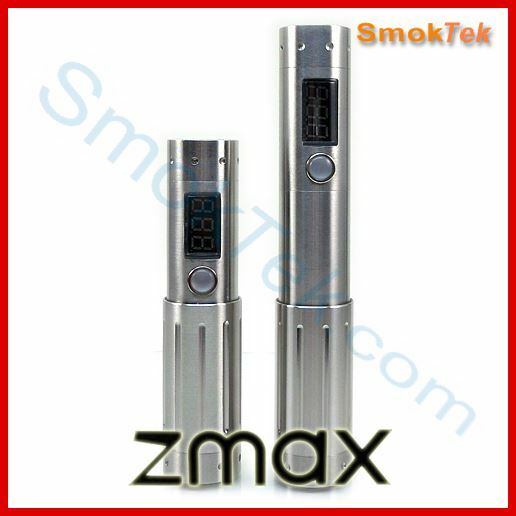 The ZMax can read your output voltage, battery voltage and cartomizer / atomizer resistance. The price listed is for the unit only, packaged in a box with easy to understand Zmax instruction manual. << click to download it now! Q: Is thIs item still available and in Stock? Thank you for reaching out to us! 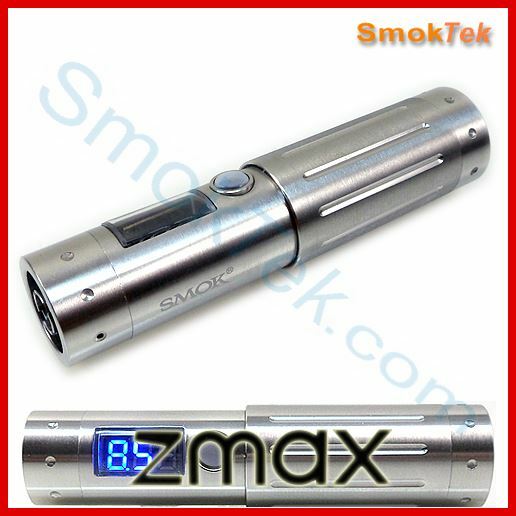 Yes, the SMOK ZMAX Telescoping Variable Power APV in Stainless is still available and in stock. Q: Is this still available? 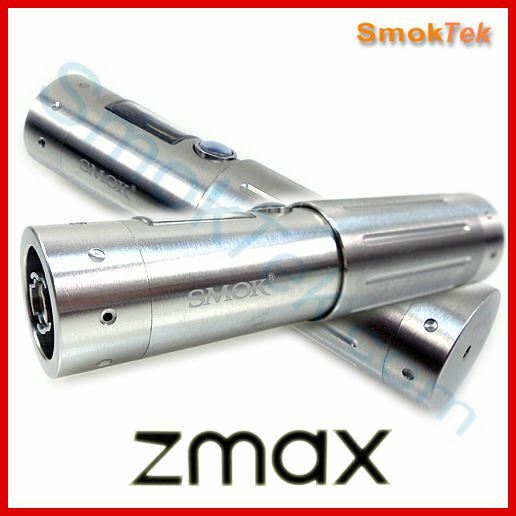 I'm sorry to say that we sold through the SMOK ZMAX Telescoping APV, and it has been discontinued, because the manufacturer no longer makes it.